/General /How do I export my subscribers? You can export your subscribers on the “Manage Subscribers” page. Click in the “Export” tab on the top and select the lists which subscribers do you like to export. 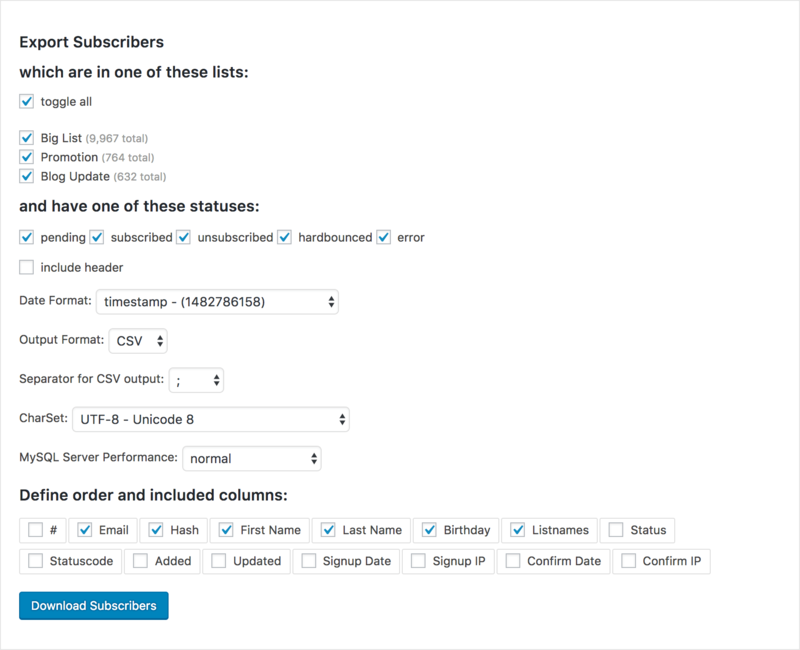 You can select the Lists and the Status your subscribers are in. You can change the order of the columns and deselected certain columns to exclude them.